Primary and College collaboration at its best! 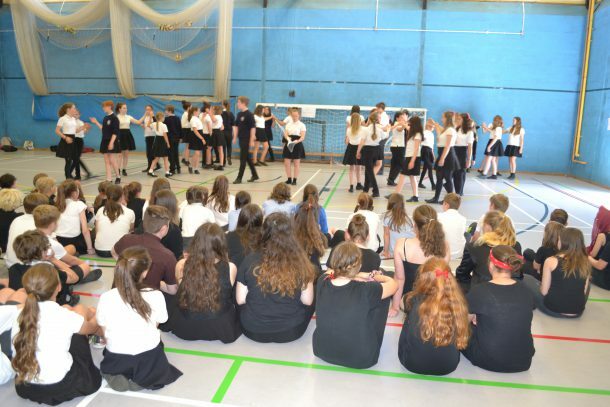 On Thursday 28th June over 100 students gathered together at Launceston College to rehearse their collaborative performance of Macbeth, that is to be performed at Dingles Heritage Fairground on Friday 29th June. The dedication, passion and engagement of the students during rehearsal were absolutely commendable and the feeling for Friday’s performance is one of excitement, pride and tenacity. From Year 2 to sixth formers, all have taken on roles which celebrate the dark and sinister play of Macbeth and the team spirit this project has created amongst secondary and primary schools a like is phenomenal. Launceston College celebrates its first year as a Lead Associate School in style as the performance takes to the stage (fairground) tomorrow night.